Have you tried heaptrack? It is pretty neat tool for memory debugging. It doesn’t require custom allocator functions. It has a gui that makes it easy to compare two builds/runs. 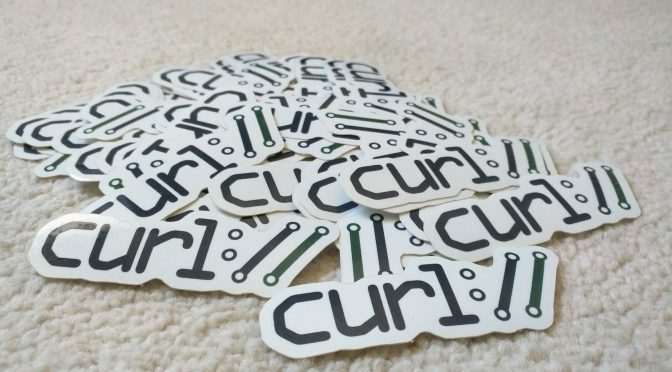 So curl has quite some air for further optimizations before it equals out Wget2. Clearly, and I will never claim that we are ever “done” optimizing or improving. Regarding the 80GB file, it is simply a sparse file made with “truncate -s 80G” stored on the SSD. Nothing magic at all. Thanks for the sparse file trick. Here come the numbers for a 80GB file (best out of several runs). And yes, fair comparisons are difficult. Maybe someone likes to find out about the differences. That’s an awesome speedup ! You should consider using larger buffers in the curl tool (maybe not in the library). 2200MB/sec and 2900 MB/sec are not 20 Gigabit/s. 2900 megabyte is 23200 megabits. That is more than 20 gigabits. Math! That sounds great, I wonder if we care. Not only do large file transfers like that rarely happen, as the one user discovered the bottleneck is usually the hard drive. Even if, lets say, you are doing only processing on the files after you retrieve them, such as passing html to a parser, I would think that parsing process would be pretty slow as well. My point is, I wonder if the slowness of the malloc makes any real-world difference that we care about? Sebastian: I already addressed that in the post. I doubt there will be many users noticing a difference, but spending less CPU is still valuable to save power and to allow other parts to use more. Don’t get me wrong, I don’t think you should revert these changes – they do save battery life. Put another way though, the slowness of real world operations like disk ops or payload processing also has a corresponding power cost, so again, compared to real world applications, do we really care about the couple microwatt hours we save here compared to the power cost of writing to a drive, or doing complex dom processing? I would think that would be where the real focus on power conservation would be, the savings this change produces are probably a rounding error in comparison. I’d be interested in seeing the numbers, though. it’s really nice that you’re doing this. I’m constantly fighting against anyone introducing malloc() calls in haproxy’s fast path for this exact reason. I know that sometimes it’s difficult to avoid them. Often for most objects, using some fixed-size pools significantly helps without changing the code too much. Good luck with the 80 remaining ones, you’re on the right direction!